Mecklenburg County and the City of Charlotte have partnered on this stream enhancement and storm water quality retrofit project along Briar Creek near the Chantilly neighborhood. Charlotte-Mecklenburg Storm Water Service’s overall goals of the project are to restore Briar Creek, Edwards Branch, and the Chantilly Tributary, improve water quality through improved storm water BMPs, and obtain stream mitigation credits for the City of Charlotte’s Umbrella Mitigation Bank. Prior to the project, the Doral and Cavalier apartment complexes were located within the 100-year floodplain of the project site. 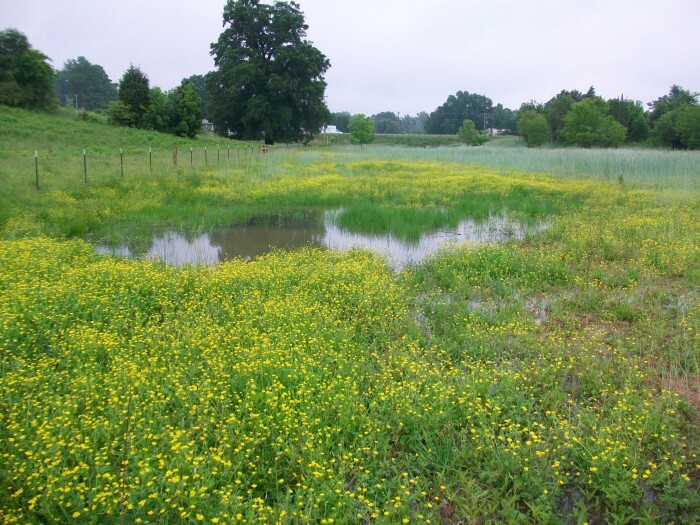 Mecklenburg County purchased and removed the flood-prone buildings as part of the FEMA flood mitigation buyout program, which provided the space necessary to expand the existing community park, incorporate storm water quality retrofits, and restore portions of degraded streams. 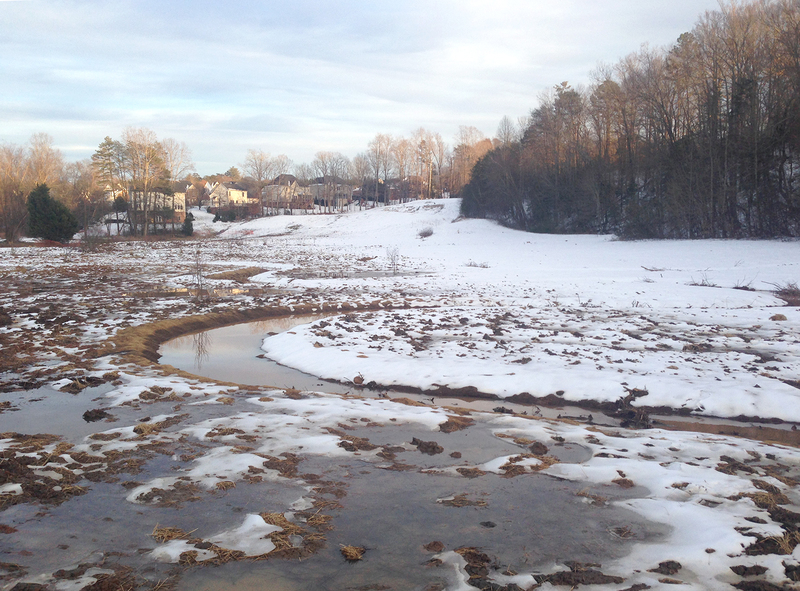 Over 9,000 LF of stream restoration and enhancement will be performed, two storm water quality BMPs will be installed within the floodplain of Briar Creek, and the ground will be prepared for greenway and recreational trails to be expanded in the future. 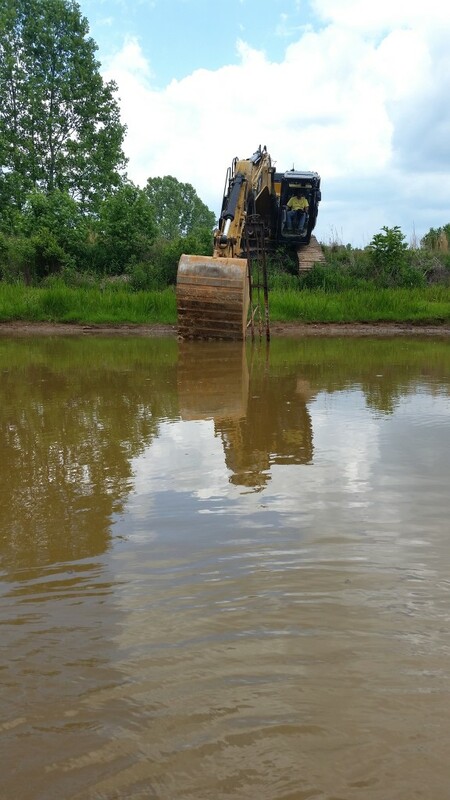 Extensive hydraulic analysis was required to support a floodplain no-rise certification. Wildlands also prepared a feasibility study and an alternatives analysis for the Chantilly Tributary and BMP components of the project. Wildlands Realty negotiated five donated storm water easements on private parcels. Construction began in summer 2016 and is currently ongoing. 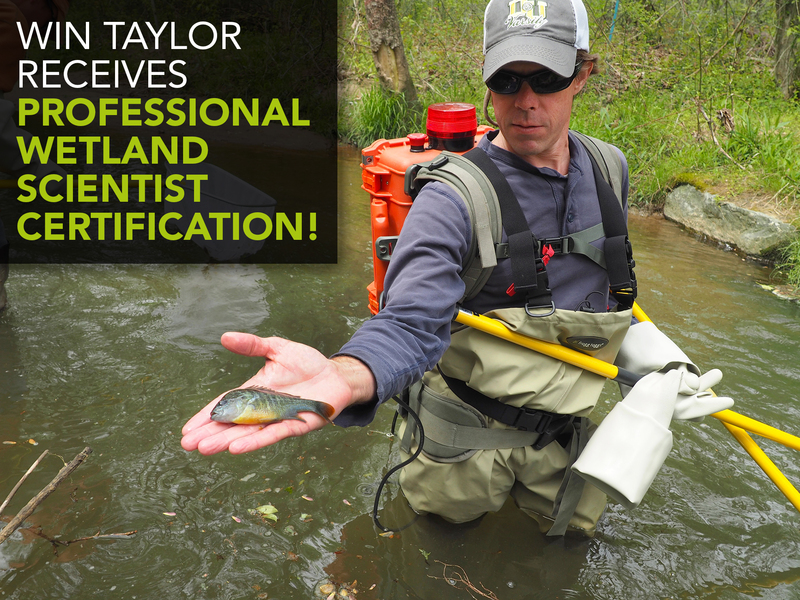 Join us in congratulating Wildlands team member, Win Taylor, for receiving his Professional Wetland Scientist certification! This certification is awarded by the Society of Wetland Scientists Professional Certification Program, which evaluates each applicant based on a combination of academic coursework, continuing education training, years of working experience in the field, letters of recommendation, and an essay describing an area of expertise. Congratulations, Win! Wildlands is thrilled to announce that our Scaly Bark Creek Mitigation Project has received approval for close-out from the Interagency Review Team. This is Wildlands’ first full-delivery contract with the North Carolina Division of Mitigation Services to reach the close-out milestone, a seven-year achievement. This project consisted of 4,875 linear feet (LF) of stream restoration, 3,596 LF of stream enhancement level II, and 700 LF of stream preservation. 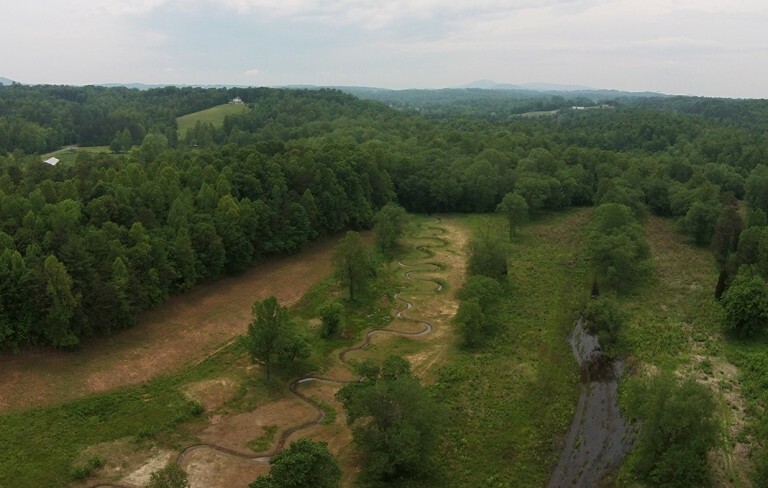 As a result of these successful efforts, this project delivered 6,453 stream mitigation units to the North Carolina Division of Mitigation Services. 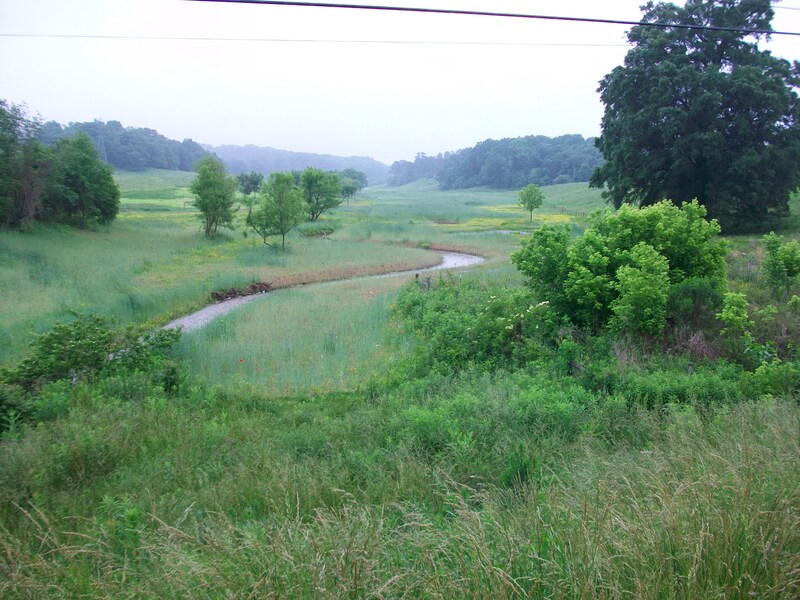 CLICK HERE to learn more about the Scaly Bark Creek Mitigation Project. Wildlands is pleased to announce that construction has been completed on Henry Fork Stream and Wetland Mitigation Full-Delivery Project. 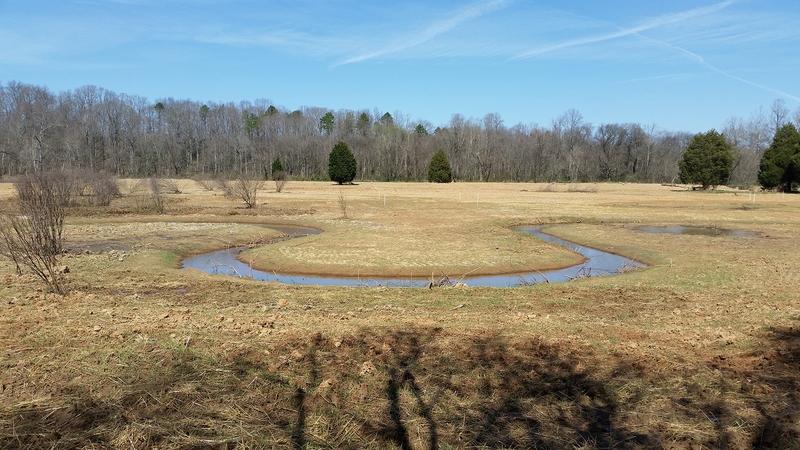 Located in Catawba County, NC, this project is expected to deliver 4,500 stream mitigation units and 4.0 wetland mitigation units at closeout. 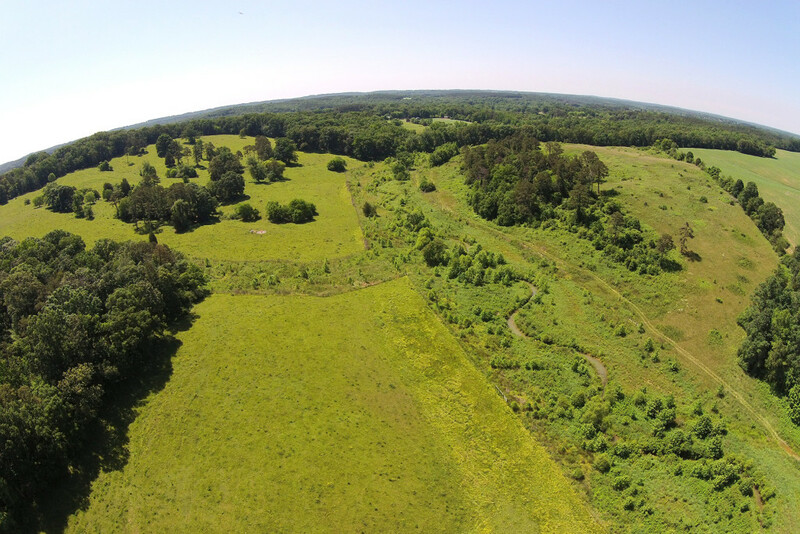 As a value-added benefit of the project, Wildlands also acquired the entire 50-acre parcel and included this area within the established permanent conservation easement, establishing a permanent 100-foot buffer on the Henry Fork River and with the vision of a more holistic bottomland wetland forest ecosystem restoration. The mitigation activities removed four golf course ponds, along with reestablishing step-pool channel in the upper tributaries and meandering stream-wetland complex channels where streams enter the floodplain of the larger river.